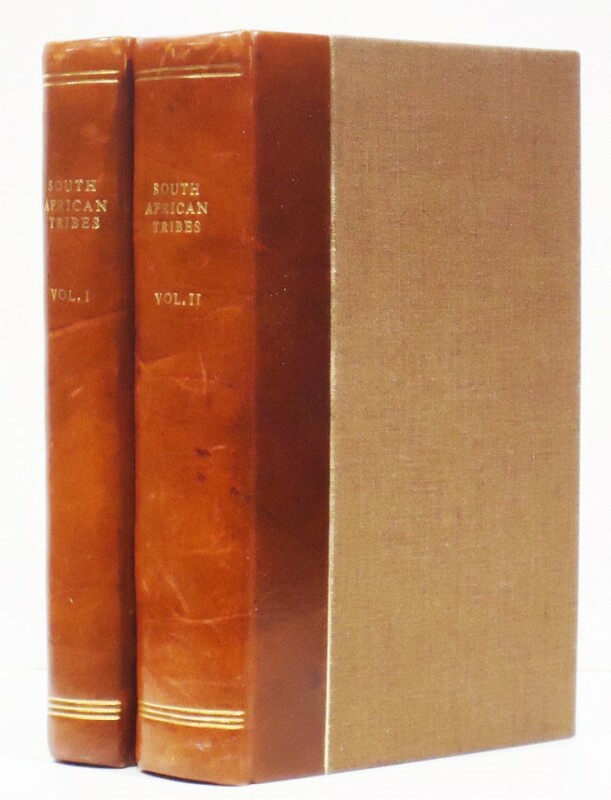 2 volumes 432 + 720 pages, light foxing, marginal notes on several pages, rebound in quarter brown leather with matching cloth boards, titles gilt on the spines, a very good set. Mendelssohn (Sidney) South African Bibliography volume 2 page 453 - 454: A voluminous but valuable compilation based on Moodie's Records and the works of many of the early writers on South African matters. 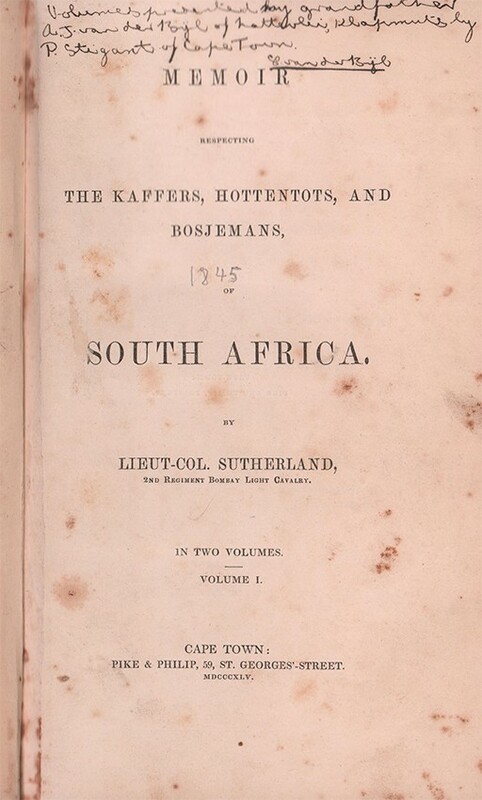 The author states that the work was commenced during an excursion to the North-Eastern Districts of South Africa, in the course of which he visited the districts of George, Uitenhage, Albany, Cradock, Graaff-Reinet, and Somerset, and had good opportunities of observing the working of the "Border Police". During his residence on the frontier he collected all the information within his reach, "discussing the subject with the Government authorities, particularly with the Resident agents, Messrs. Stretch and Fynn", and laying under contribution all the records dealing with the matter he was able to consult. He claimed that owing to his researches "a body of evidence has, through this process, been collected in a form and shape which may be of use to any person who may hereafter become the historian of the condition of the aborigines in South Africa, &c. &c." Colonel Sutherland, who was on furlough from India, formed a plan for raising six companies of native troops composed of Amakosa and Tambookie K-s, Fingos, and Hottentots to be stationed at different posts in Kaffraria, and in his "Third Head" he drew up a projected treaty with the Kaffirs amending and augmenting those already existing at this period.